Eight years ago, a small school linked through Newman University brought us together. A spectacular sunset proposal on a stunning sandy beach in Marbella led us to spend three years planning a wedding beyond our dreams. What was the theme for the day and did you have a colour scheme? 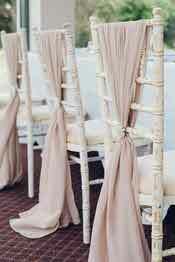 The theme was classic and elegant, and we chose dusty pink and rose gold for our colour scheme. 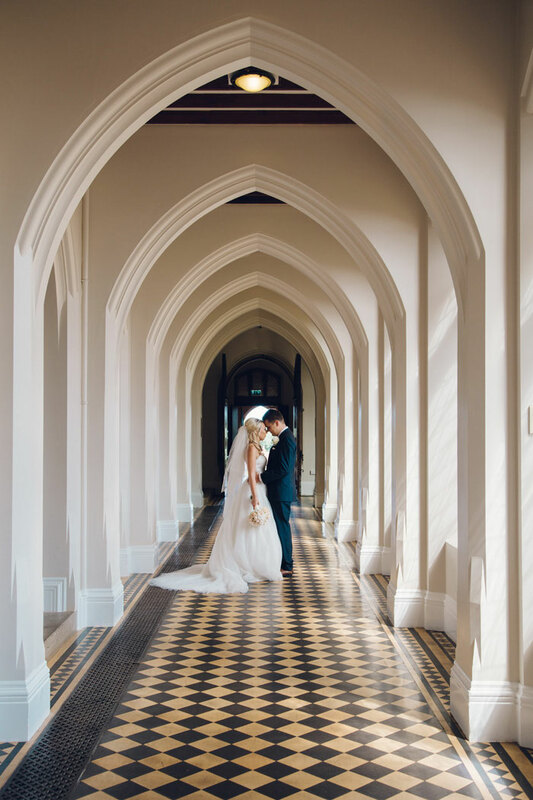 With the juxtaposition of old and new architecture, Stanbrook Abbey is a modern venue with a distinctive and breath-taking view as soon as you drive through the iron gates. 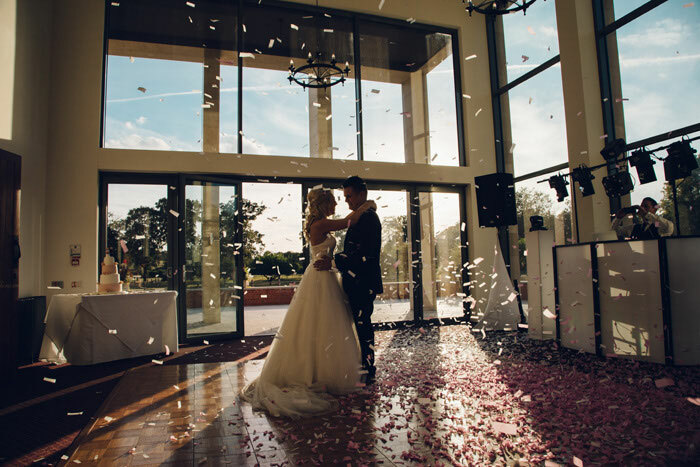 It was important for us to have a venue where our guests would be overwhelmed by the stunning grounds. 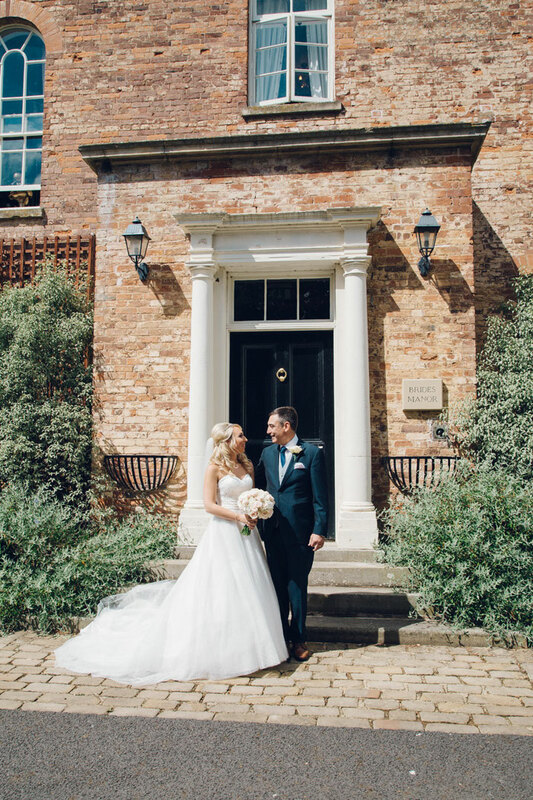 Bride’s Manor, a house for the bride and her bridesmaids, was a luxurious location for the night before and the converted cellar consisted of a games room to entertain the groomsmen. 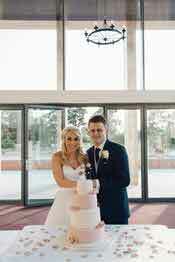 An executive cardinal suite for the night of the wedding had a balcony with spectacular views and the venue allocated 50 rooms with a range of accommodation for a large number of guests. From its arched hallways to its picturesque willow lake, this venue offered everything we wanted in one location. 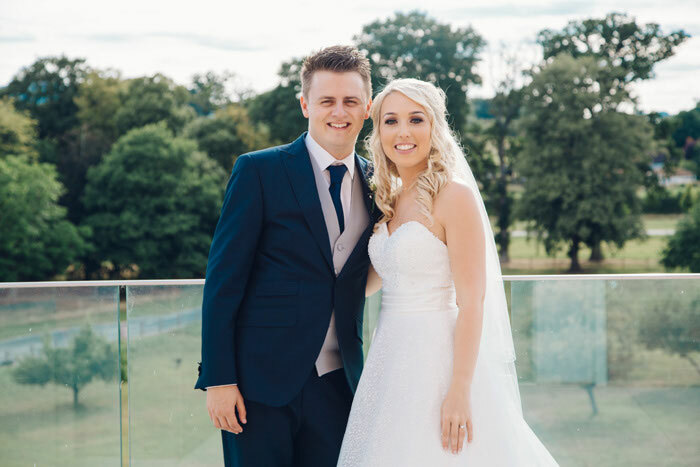 Without a doubt, choosing ‘the dress’ was an extremely difficult decision, as this is often referred to by many guests as the focal point of the entire wedding. 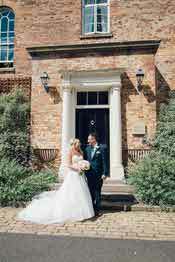 Unsure of a particular style, it took visits to many dress shops to decide the type of dress to suit both myself and our venue. I fell in love with a particular gown unlike any other. 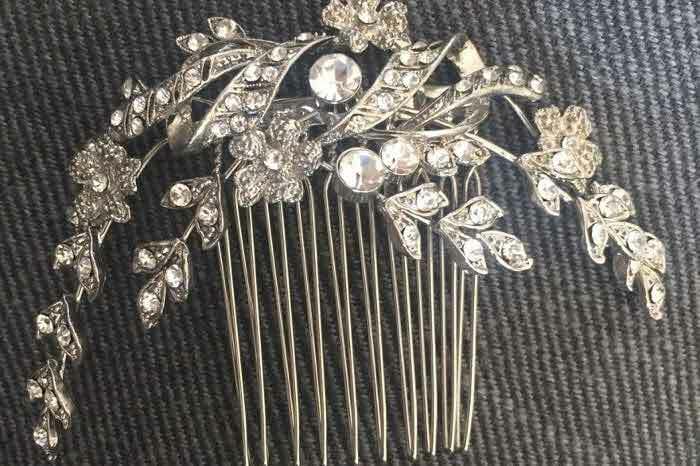 It had a distinct and modern look with a hint of sparkle. 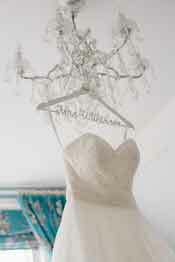 The dress had an ivory sweetheart neckline and a pleated waistband, which came to a surprise for many guests on the day. I bought the dress two years before the wedding - committing to a dress in the early planning stages was a big risk but it certainly paid off. 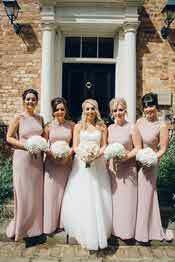 The bridesmaids wore a dusty pink, low-back fitted dress with a jewel embellishments to complement the sparkle on my dress. With my stunning sister as maid of honour, my three closest friends, my cousin and a friend of the groom, we had a team of six beautiful bridesmaids. What did the mother of the bride wear? 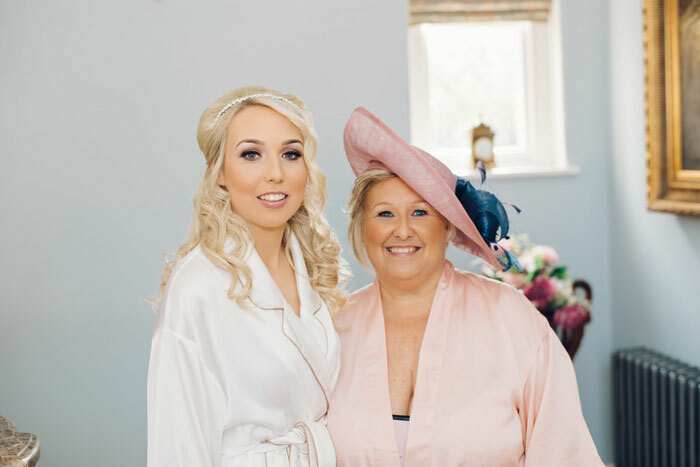 The mother of the bride wore a contemporary outfit, styled by herself. It was a rose gold dress with a dusty pink coat. 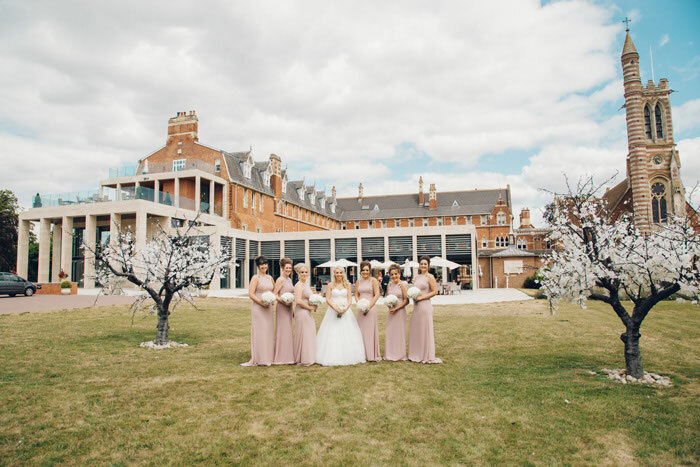 She made sure there was a distinct difference between her look and the bridesmaids, while still complementing the colour scheme of the wedding. 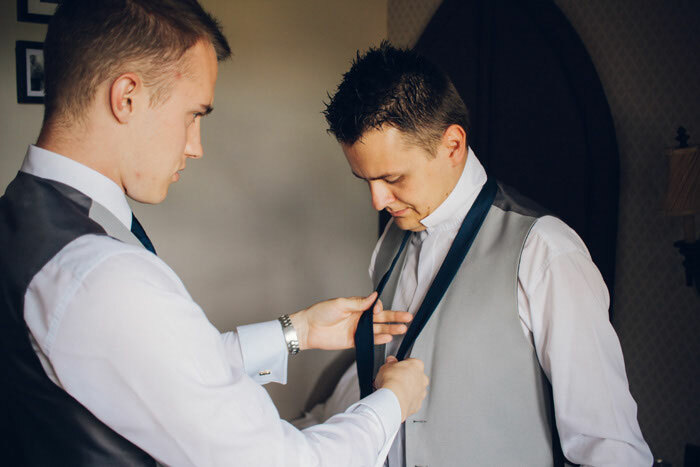 A bespoke hatinator included navy aspects to match the groom’s suits, finished with Ted Baker shoes and a navy Valentino bag. 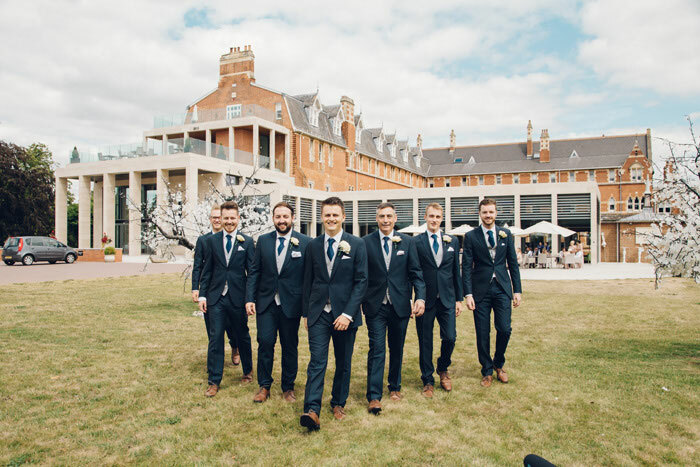 The groom, the best man, four groomsmen and father of the bride got their navy suits with light grey waistcoasts from Peter Posh Suit Hire in Tetenhall. 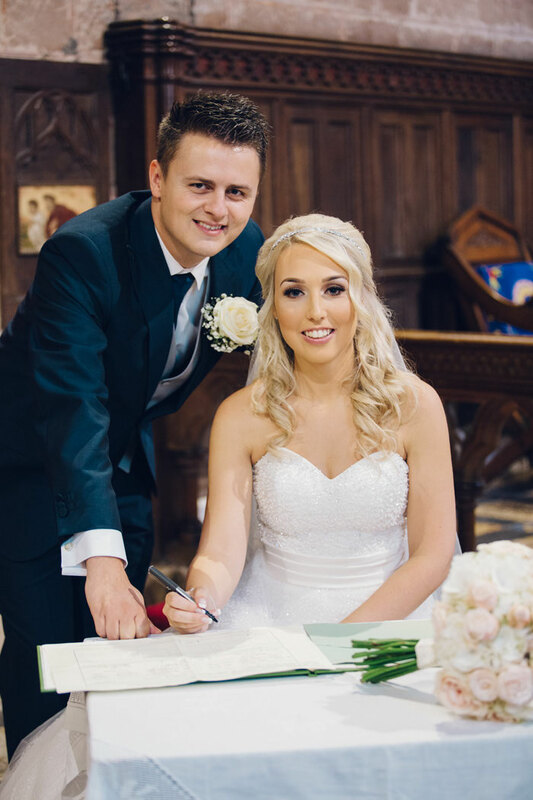 With a clear vision of our wedding, it was important to be in full control of all the details for the wedding day. Our wedding co-ordinator at Stanbrook Abbey brought all of our ideas together. 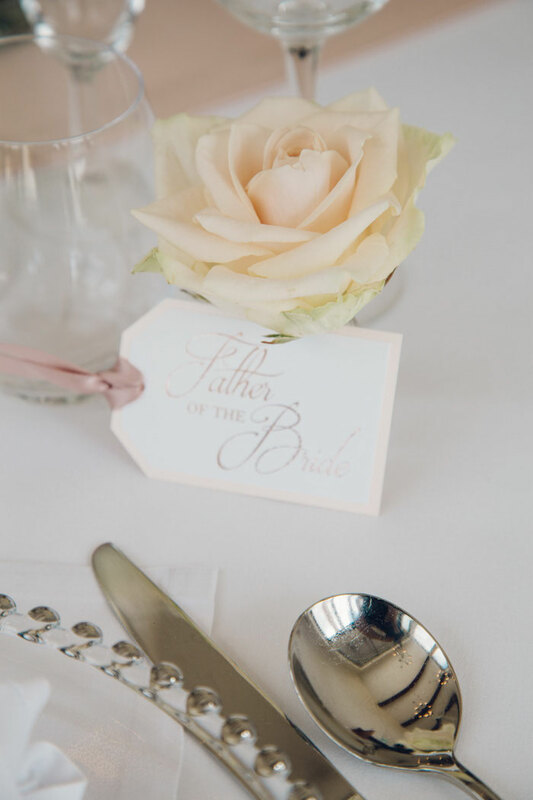 Our Lacey Lockets wedding stylist, Faye, turned our visions into reality, creating bespoke stationery and styling our wedding breakfast with chair drapes, plate chargers, table runners, favour boxes, menu cards, decorative signs and handmade lights. 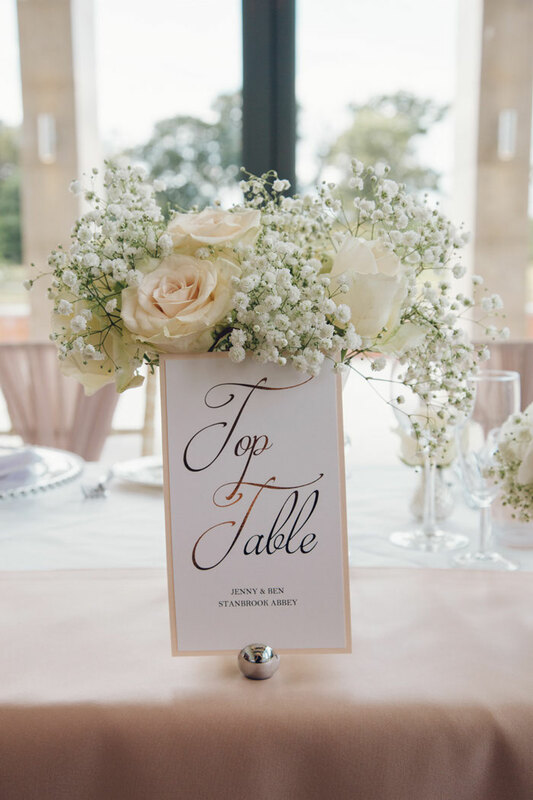 With soft pastel hues, our floral arrangements consisted of classic bombastic roses, white hydrangea and subtle hints of gyp. 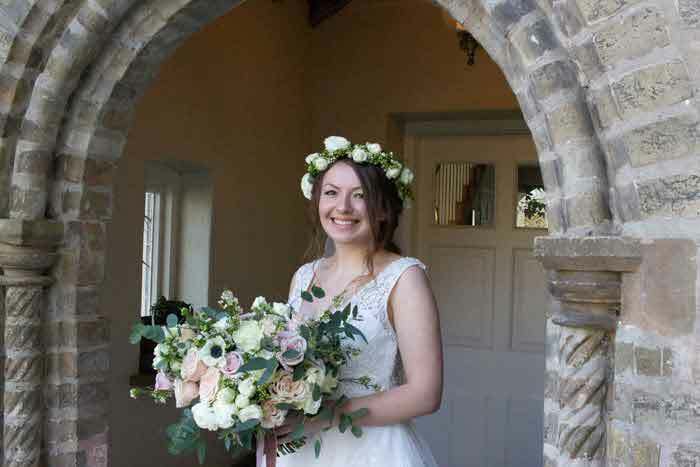 Inspired by celebrity weddings, the bridesmaids had bouquets of hydrangea and a gyp edging with the maid of honour's bouquet including scattered roses. Tall centrepieces filled the tables with flowers while small decorative flower vases were used throughout the venue. 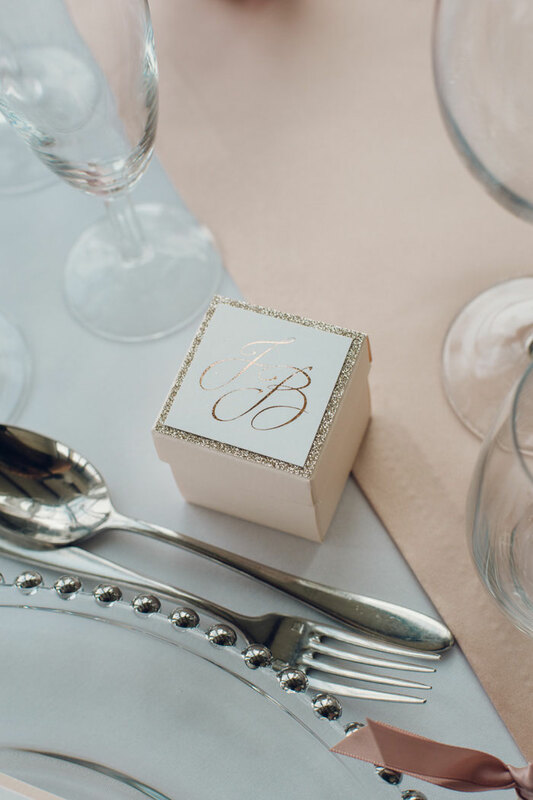 Boomf created rose gold midnight snack bags with edible photographic which went down well with our guests. Rose gold sandals were available for aching feet and black and white photographic cupcakes met evening guests on arrival. 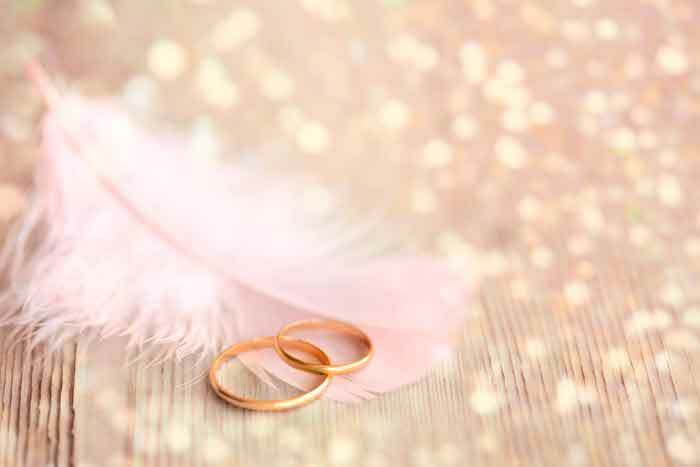 How did you make the ceremony personal to you? My granddad chose the hymns and my godparents chose our readings. 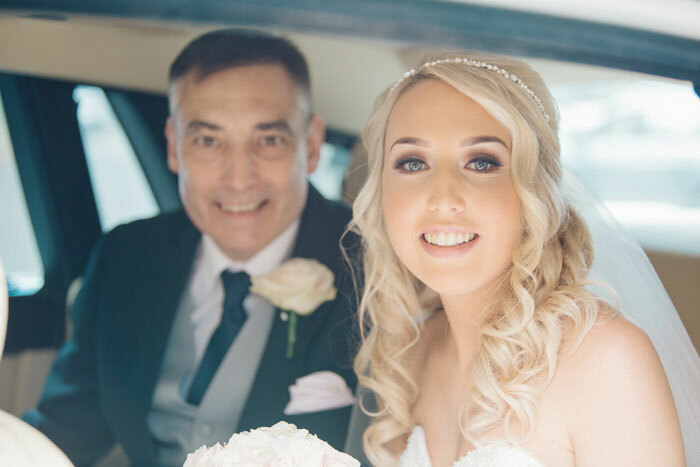 There was also the church choir, personalised confetti bags, extravagant floral arrangements and pew ends filled with hydrangea to add personal touches. For us, it is difficult to pinpoint a particular moment that was memorable. 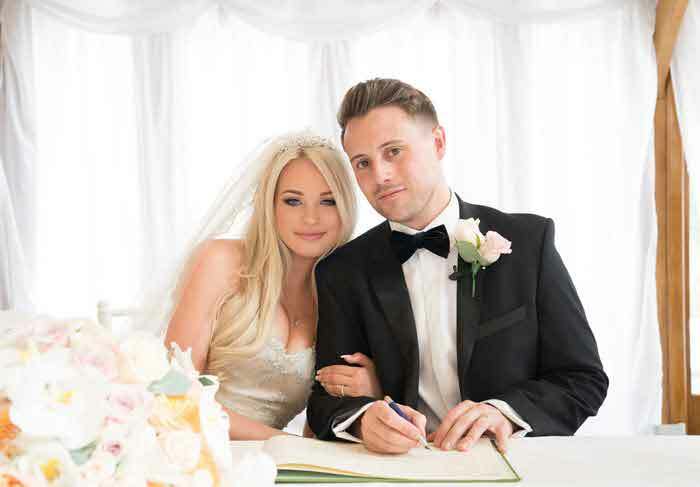 The day as a whole is what made our wedding something we will treasure forever. 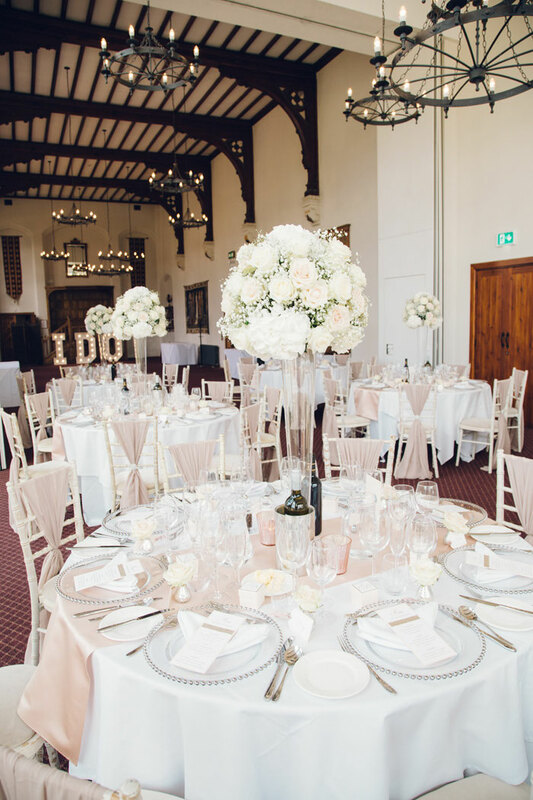 When planning and co-ordinating the wedding, hours of research were spent finding the best suppliers which was extremely time-consuming. 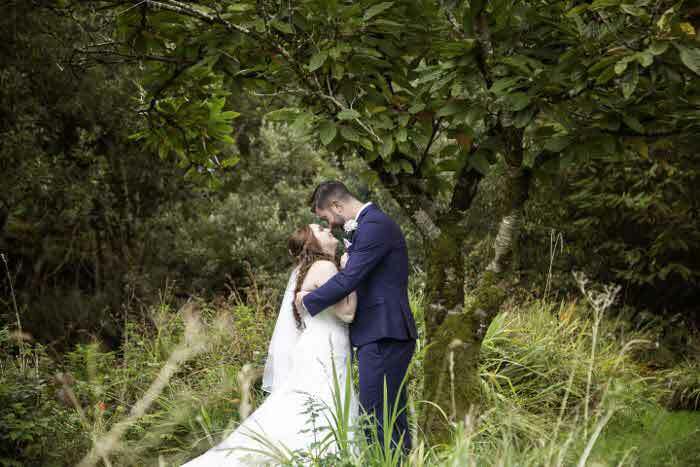 Despite consistent issues from guests involving both aspects of our wedding and having a child-free day, we didn’t change our original plans. As a couple, we made sure we had everything we wanted on our wedding day rather than what everyone else wanted. We embraced all the difficulties along the way, which we believe all happened for a reason to make our day even more incredible. Hair hostess stylist, Fay Smith, provided an incredible range of styles for me, the bridesmaids, and the mother of the bride. 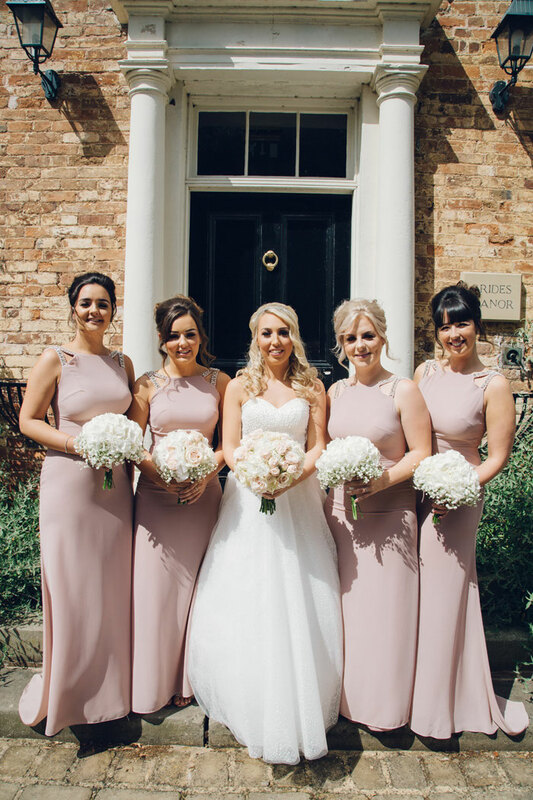 Dannielle Guiden tailored her make-up to suit the bridesmaids’ requirements and created natural, breathtaking looks. 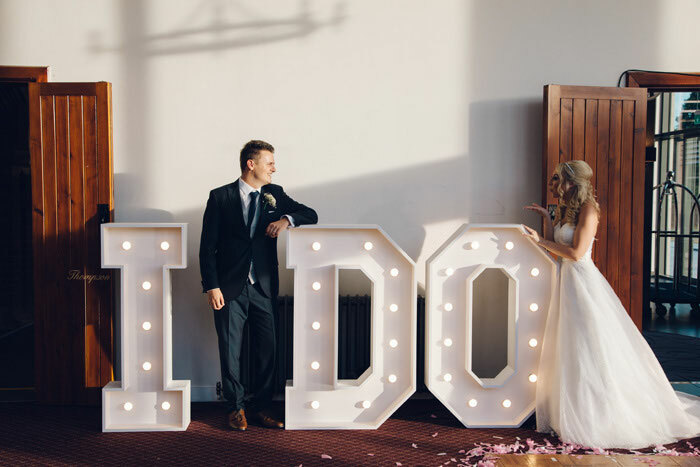 Our wedding stylist Faye completely transformed the entire venue to create a celebrity-inspired vision. Scarlett Shellis captured every aspect of our day in an unobtrusive manor along with Scott Shellis Films. We had our wedding rings personally made and the date of the wedding engraved inside. 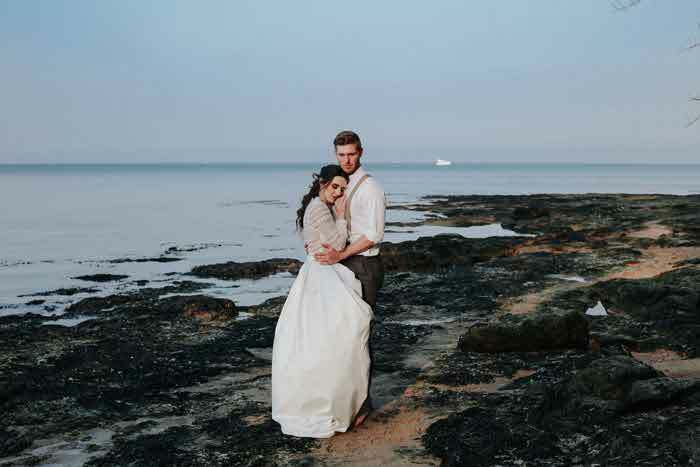 Without all of these elements our wedding could not have been as incredible as it was. Everything we invested in was an important for us. It took three years to gather the best companies in the industry, personally hand-picking every company based on our requirements and preferences. 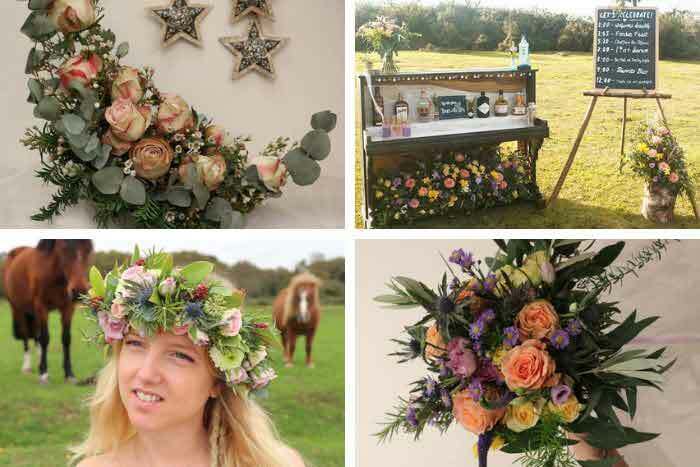 We wanted our wedding to be distinctive and to set the trend for future weddings. 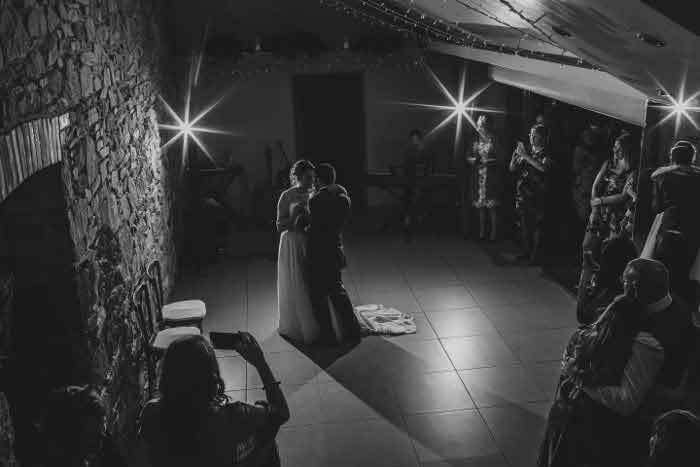 After hours of deliberation, it was difficult to find a distinct first dance song. 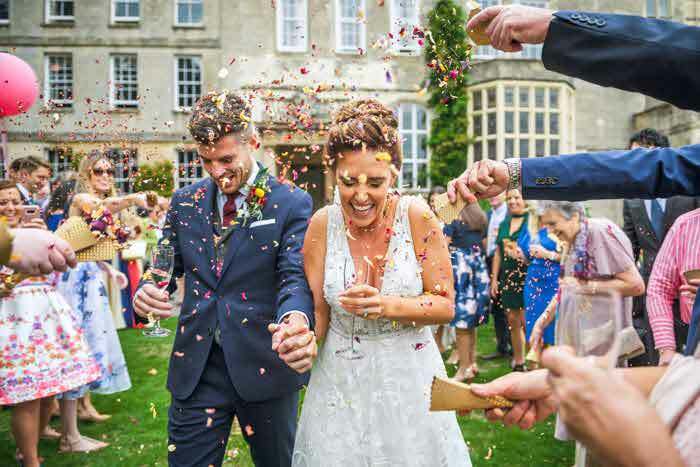 Ben chose ‘You are the Reason’ by Calum Scott and Leona Lewis During the first dance confetti canons of pastel pinks and white were set off which came as a surprise to all guests. We chose a four-tier cake of fruit, raspberry ripple, lemon drizzle and classic sponge accompanied by delicate roses and alternate colours – it was really popular with our guests. 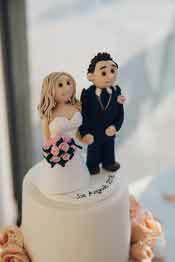 We opted for a classic bride and groom topper made to represent the details of the day. 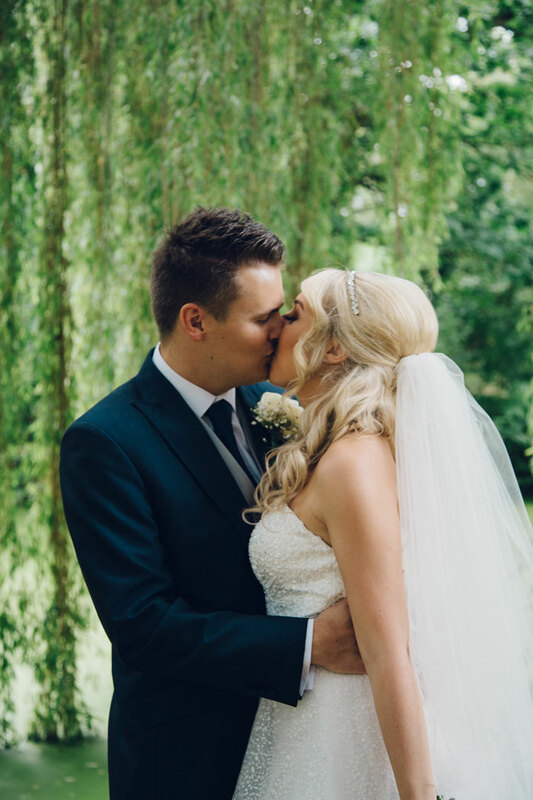 If we could plan and re-live our wedding all over again, we would not change a single thing. 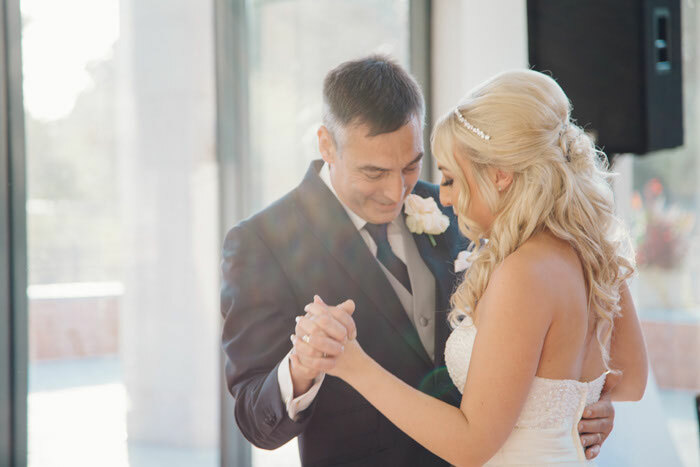 Everything on our wedding day was perfect. Did anything go wrong on the day? The evening before the wedding we found out that our wedding car had broken down. However, we were offered a replacement car for the day which was actually an upgrade from our original choice. 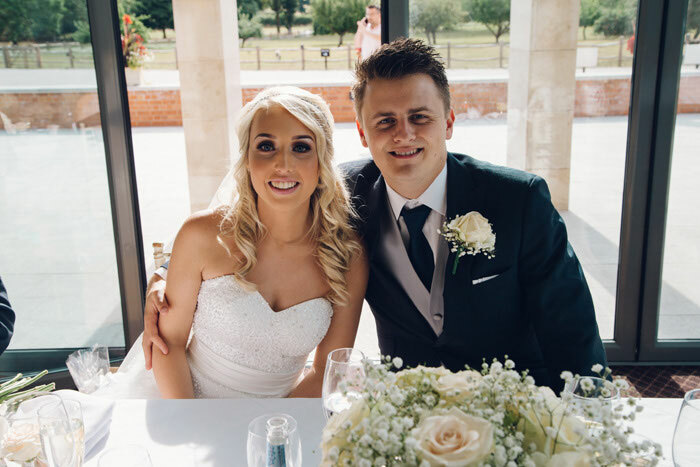 Despite some guests deciding to leave our celebrations prematurely, the day itself was made even more incredible than ever imagined. 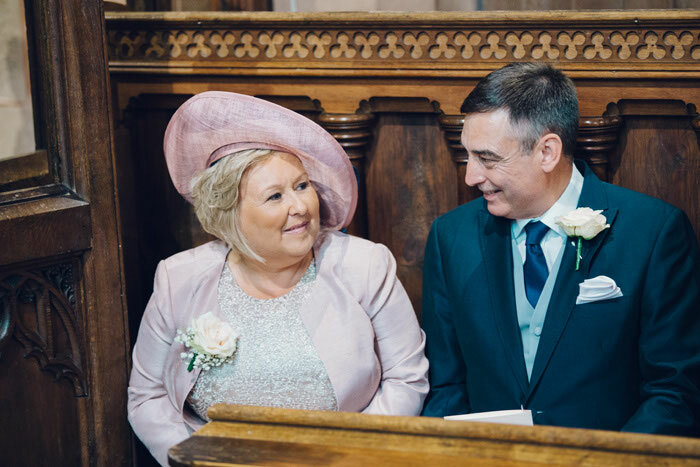 The day ran smoothly and the mother of the bride dealt with any minor problems which arose throughout the day. We travelled to Miami to stay in the mesmerising Fontainbleau Hotel. From discounted shopping at Dolphin Mall to swimming with dolphins at Miami Sea Aquaruim, we enjoyed all the luxuries of a five-star hotel on Miami Beach Front. 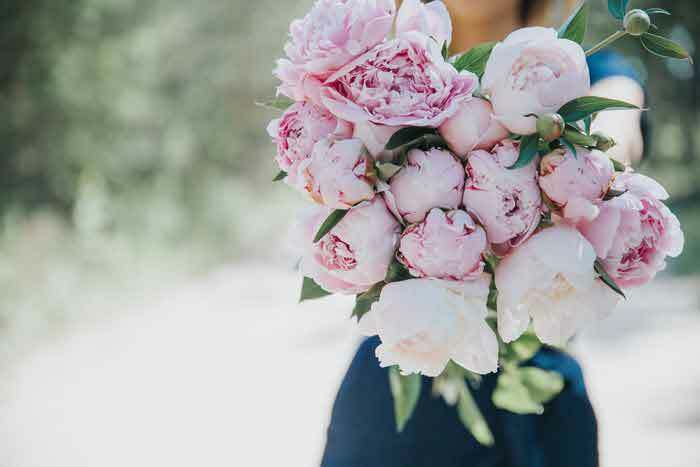 The week leading up to our wedding, my beautiful maid of honour put together a luxurious wedding countdown for me with a luxury spa treatment, a shellac pedicure, a full set of nail extensions, honeymoon essentials and beautiful, everlasting roses from the Bloom Room. 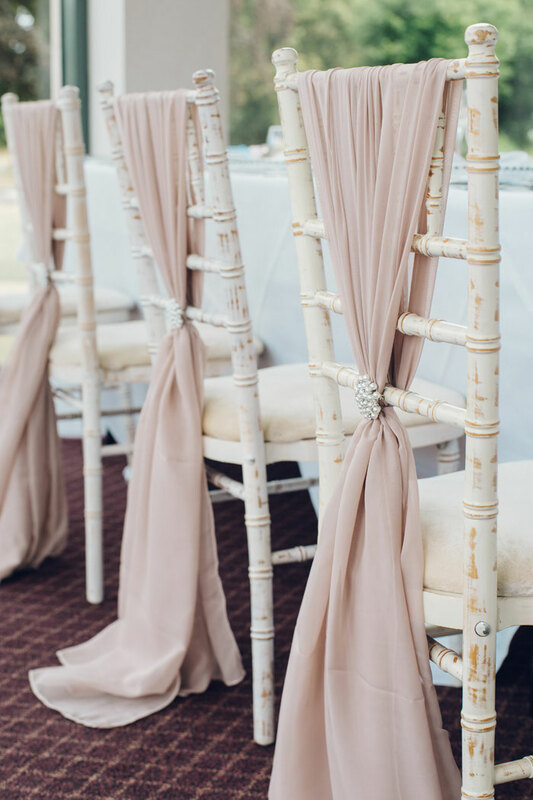 These treats were the perfect way to relax leading up to the wedding. 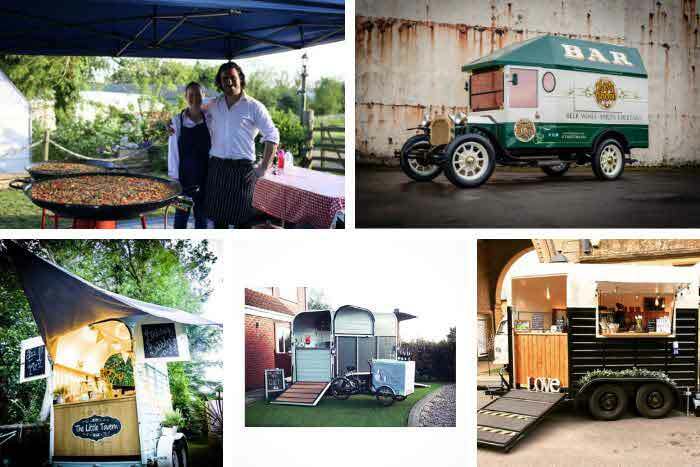 Three years before our wedding, we booked our wedding venue and saved a substantial amount of money by doing this. During the planning stages, I kept track of every financial arrangement we made. 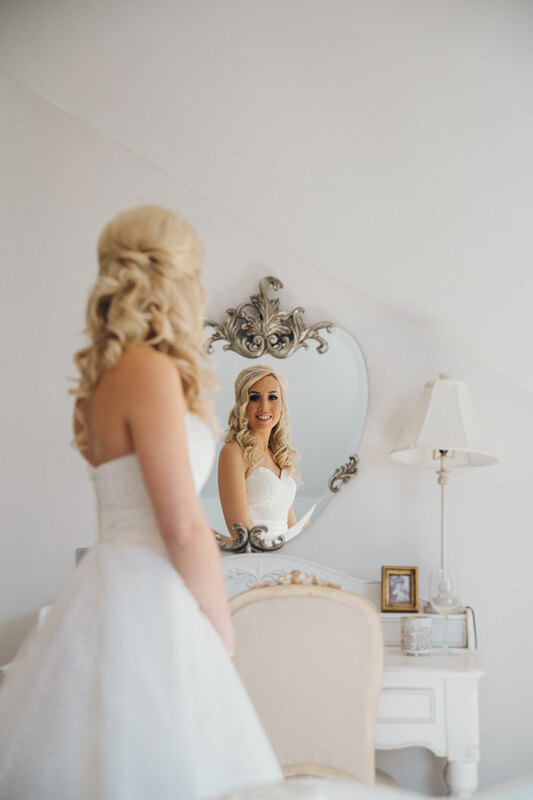 It is important to take time to gather reliable suppliers that you have confidence in, especially the photographer, hair stylist and make-up artists. When your day is over, all you have left is the memories through photographs; make sure they are worth looking back on.